We are a professional married couple living in a Scandinavian style house on the edge of a small village called Dolton in the county of Devon in the southwest of England. 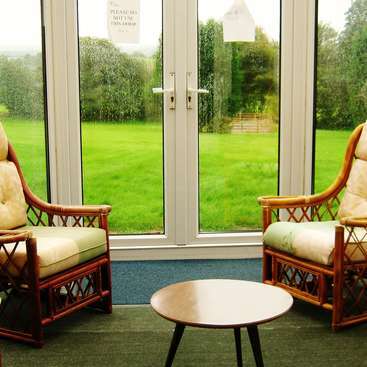 We have stunning views looking out over a Devon Wildlife Nature Reserve and beautiful countryside. We have a smallholding (approximately 2 hectares) which we run organically. We are scientists and knowledgeable conservationists with strong green, botanical, geological and ornithological interests and enjoy riding, mineralogy, gardening, breeding rare chickens, jam and gift/jewellery making and preparing educational resources for children. The animals are well-mannered and affectionate and are family members. The animals' needs always come first. We are about a 45 minute drive from Dartmoor National Park. We also have been hosts on other sites for a long time (over 14 years) and are keen to learn from our helpers too. As well as normal daily communication and conversations, we are happy to give regular formal English improvement lessons if required. You will be treated as a member of our family and will be included in as much as you wish to take part. We love learning about new people and their cultures and hope that you will learn from us and our way of life and culture. We live on the outskirts of a small traditional village called Dolton which is very tranquil but has many social activities that previous volunteers have enjoyed taking part in - for example bell-ringing, Bingo, singing, sampling the local beer in two historic Pubs, kick boxing, dancing, yoga, Art and Crafts classes, Book Club, Open Mic. There are many opportunities for you to keep fit. The coast is an easy journey by public transport if you wish to go to the beach to swim, picnic, sunbathe and/or surf. Riding is available (in free time) for someone reasonably experienced (and of a suitable height and weight) and who has their own riding insurance and can bring their own riding helmet and suitable footwear. We prefer someone who has some experience of horses. We also accept people who do not ride but please note that we are not able to offer any riding for beginners. My neighbour and I are both experienced trainers and compete to a high level. Previous long stay volunteers have enjoyed competing some of our horses and have benefited from riding lessons and exploring the local countryside with the horses. For safety, the amount and type of riding depends on a person's experience and takes place during recreation (free time) periods. We will show you how to do many things depending on the time of year you are with us. For example how to sow seeds, look after wildlife, make your own jewellery and/or jam, how to harvest vegetables and fruit from the gardens and how to care for the horses and dogs. If you are interested in rocks and minerals, we have a vast collection which we would be happy to show you and teach you about. We are easy going and enjoy what we do and love our animals. We ask that you are easy going too and flexible as some days there may be more to do while on other days there will be less. Days off can be arranged to fit in with the tasks. In return you will find that we will be flexible about what you want to do and when you have your days off. In return for your help you will learn many skills, hopefully have a lot of fun and be treated as one of the family! People from all backgrounds and nationalities are welcome. However we do not accept anyone under the age of 18. Experience with horses is preferred and helpers must be prepared to join wholeheartedly in the daily routine and be willing to learn new skills and live as a member of the family. Please note that caring for animals is physically hard and the help continues regardless of the weather conditions. You need to be fit and have stamina. You will have your own double bedroom in a comfortable house (with your own bathroom - only to be shared if there is another volunteer during your stay). You will also have access to all other parts (kitchen, sitting room, dining room etc) of the house. There is a washing machine available for your clothes. We are a non smoking household. NO smoking applies to the whole farm both indoors and outdoors.There are NO alternative areas for smoking so we are not able to accept anyone who smokes. We cater for all dietary requirements (especially piscaterians, vegetarians and coeliacs) but unfortunately NOT vegans (as we use our own fresh delicious eggs). We cannot provide Halal nor Kosher food. There is no TV but excellent Wifi internet, books, DVDs and many activities in the village are available. Mobile phone reception is reasonable around the house. Helpers are encouraged to consider and respect this farm as their home during their stay. It is a very relaxed farm and we, the hosts, hope that helpers are prepared to take part in many social activities as well as working. We have recently built new stables for the horses and ponies and plan to establish an orchard and develop the gardens. We have very high standards of safety and care. Our neighbours also have horses and everyday we work cooperatively sharing resources and machinery and caring for each others' animals. 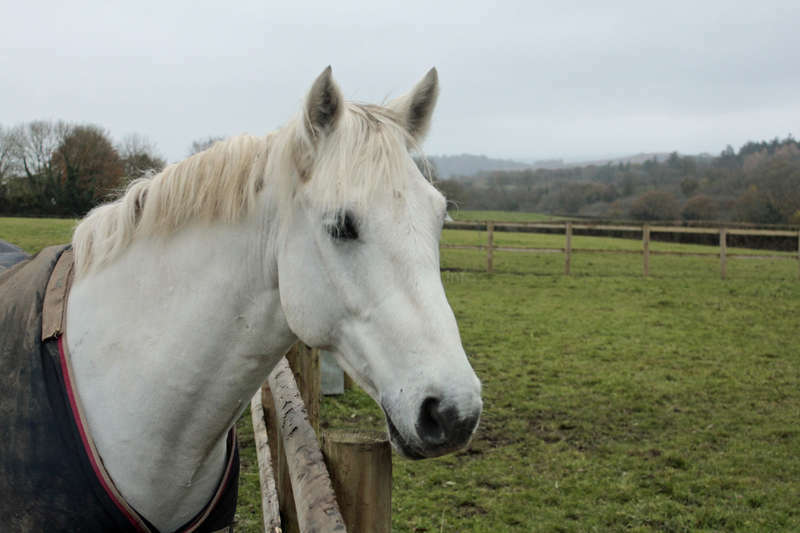 There are potentially a number of horses available for volunteers to ride in their free time (if sufficiently experienced, with their own horse riding insurance and of a suitable weight and height). This is not available for people who have had little riding experience. There is a regular bus service, so that on your free days you can travel to the coast, local towns or the city of Exeter. Please do some research (Google Earth) about the area so that you can see where in Devon we are. If you want city life we are not the place for you. There are no towns or cities near to the village. You need to take the Stagecoach bus 5B from Exeter St. David's railway station or Exeter Bus Station stand 3 to Barfield Road, Dolton - we will collect you from here - the bus is too large to be able to travel into the village. There are NO 5B buses on a Sunday OR on an English public holiday. The 5B bus departs from Exeter every 2 hours and the journey takes approximately 1 hour and 20 minutes. The last bus leaves Exeter at 20.00. The nearest airport is Exeter International Airport. There are regular buses (Stagecoach bus 56) from the airport to Exeter Bus Station. The bus from the airport to Exeter leaves the airport every 30 minutes. The journey to the bus station takes approximately 30 minutes. If you come via Heathrow Airport, you can take a National Express Service Coach (NX501) from the airport to the city of Exeter then the 5B bus to Dolton (as described above). It is a good idea to PRE-BOOK this. If you come via Bristol Airport, you can take a Falcon Coach - it is a good idea to PRE-BOOK this - from the airport to the city of Exeter then the 5B bus to Dolton (as described above). Or the simplest way, but more expensive, is to get the bus from Bristol Airport called the Bristol Flyer Express (Number A1) to Bristol Temple Meads Railway Station. The bus leaves outside the only entrance to the airport about every ten minutes. Bristol Temple Meads is the first stop and takes about 21 minutes. At Bristol Temple Meads railway station take a train to Exeter St. David's railway station. There are one or two trains to Exeter every hour throughout the day. Bristol Temple Meads railway station is big so check carefully the platform number for your train. When in Exeter the 5B bus leaves from just outside Exeter Station and comes to Dolton. There is only one bus stop in Dolton. We always greet our visitors at the bus stop. The 5B bus from Exeter to Dolton leaves outside the railway station at 12.23, 14.23, 16.25, 17.45, 18.50, & 20.08. You cannot pre-book the Stagecoach buses. You must pay for your ticket on the bus with English MONEY - make sure you have small notes (£5) or £1 coins. The drivers do not like to accept large notes (£10 or £20). Matti has been with us for just over two months. He initially came for one month but has stayed for two. We have very much enjoyed having him as one of our volunteers. Matti is a lovely young man with a great sense of integrity and fun - a perfect combination. He takes all his tasks extremely seriously and always carries them out 100%. He works… read more well as part of a team as well independently. He is completely reliable. He is sympathetic and kind. He always considers the needs of others and enjoys taking care of all the animals treating them as he would if they were his own. Matti is always very welcome to return. I lived at Yolande´s and David´s for about two months and was very happy there, which is why I even stayed longer than I initially planned to do. Both of them are extremely kind and considerate and will try to assist you as much as they can in various apects (in my case especially my studies). The room I slept in and bathroom are more than enough,… read more there is always enough food, Yolande often cooks and they try to provide the food you can and want to eat. The work is diverse, so I did not get bored and more or less what you would/should expect when you work on a farm with horses, chickens, two dogs and a big garden. Moreover, the neighbours, Tony and John, are also a positive aspect of this experience, as well as other people I have met there during my stay. You should expect what David and Yolande stated on their profile, including Dolton itself, which is very small, so when you are looking for a town or city, this is not the place to be. In conclusion, I can recommend staying at, or at least applying for this host. We really enjoyed having Emma to stay with us and hope that one day she will be able to come for a longer visit. Emma settled in right from the beginning and participated in everything on offer here and the village itself. We appreciate all the help and support Emma so kindly gave us during her time here. Although it was her first time as a… read more workaway volunteer, Emma is definitely a natural and will fit in in any situation. We highly recommend this lovely, warm and friendly person and wish her all the very best. I had a wonderful time at Yolande and David’s. It was my first workaway experience and I believe I was very lucky to have such a lovely stay. They are smart and kind people, who will make you feel right at home! The work is rather easy and plesent (mainly taking care of the horses and chickens). You’ll lur’ a lot! 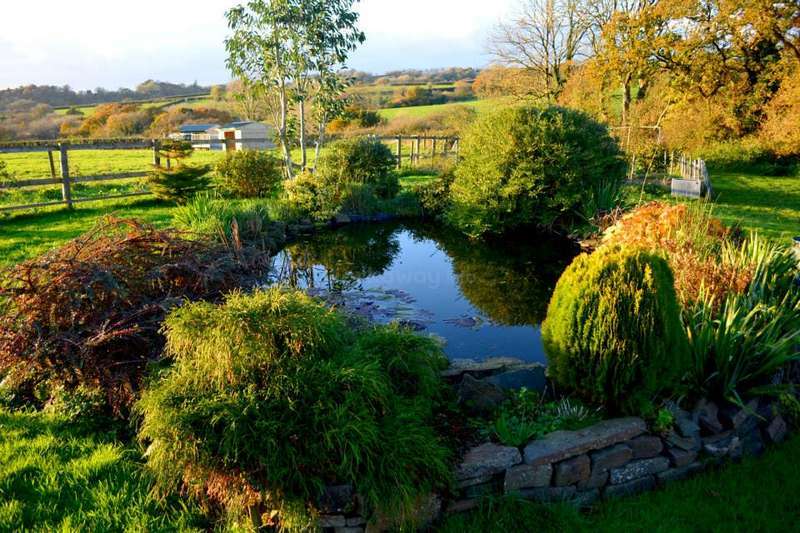 Their farm is set in the lovely… read more Dolton, with nothing but nature around. It’s really worth the trip. Their neighboor and friend, John is a really great horse riding teacher if you get the chance to catch a lesson or two. And of course, I you like dogs, you won’t be disappointed by their adorable jack russel duo (forever an intertainment). All in all, it’s an amazing experience and probably one of the best stays you could find! Fabiola spent just over one month with us. Fabiola quickly settled and we found her a conscientious hard working young person. She quickly learnt new skills and was a fantastic help to us. Fabiola looked after our two horses, dogs and chickens. When all the tasks with the animals were finished she then worked in the garden. Fabiola genuinely cared… read more about the welfare of the animals and we know that our dogs miss her. Her typical day started at 7.30 before her breakfast by feeding the dogs. At 8.00AM she was ready to go out and feed the horses and then move them into the field. She correctly chose the right rugs for them to wear in our changeable weather and then set about cleaning stables and helping with the chickens. Fabiola was also responsible for dog walking. Later in the day Fabiola worked in the garden. In late afternoon she then did many of the morning jobs in reverse, When Fabiola arrived we already had another Workaway visitor and she proved she works well with others. Fabiola was given many jobs she was not familiar with, but, she worked hard whether either big or small tasks and always completed whatever was asked of her. 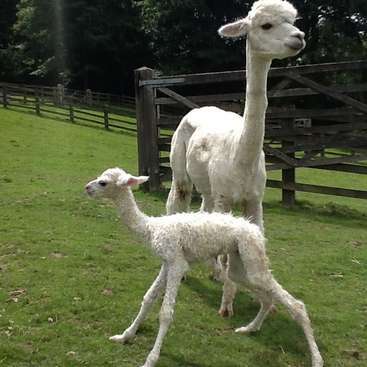 So pleased were we with her conscientious work we felt able to go out and leave her in charge of our precious animals. On our return, we had a lovely meal to eat. We were all sad to see Fabiola leave as she was liked by us, our animals and the villagers she got to know. We have said to Fabiola that as we are so impressed with her attitude and work she is welcome to come and stay with us again. Thank you Fabiola for all your hard work - we hope we will meet again. The stars are not enough. This both are so wonderful person and im so in love. The two are accommodating, loving, funny, care about one another, just want the best for you and know a lot. The horses are so lovely and funny. The dogs are so cute and like to cuddle. The chickens are so beautiful. The village and the people are so beautiful and… read more lovely. The landscape are so wonderful and i saw a lot of the north Devon and the beautiful city´s. The cost of the see are so nice and thanks to Yolande and David i could see so much. The garden are so lovely and i love all of the small Farm. Yolande and David have taken me in as a family and i have always felt very well, secure and at home. I am so proud to be a part of it. Thank you for all the best beautiful memories. I miss you and alle the beautiful animals. I love you all! From the moment Damien arrived he has been wonderful and liked by everyone. He is quiet and unassuming but is always prepared to take part in everything that is happening on our busy little farm. Damien's standard of work is excellent; he always gives of his best and is willing and helpful. Damien has a very good level of English and has tried… read more hard to make it even better. We have enjoyed Damien's company very much indeed and wish him all the very best with his future studies. He is always welcome to return. We are so pleased that Damien enjoyed his time with us. I had an amazing experience with Yolande and David, I stayed one month in Dolton and I didn't see the time spent. The work is not really hard, everybody can do it. You have to take care of chickens (food and water), horses (clean the stables and the field) and the dogs ( food, water, and walk with Tippy). There is also some gardenning jobs such as… read more removing weeds, do some watering. Dolton is a lovely village in the middle of nowhere, even if it's a disaventage to travel, (there is a bus every 2h for Exeter or Barnstaple), it's remain an exellent thing when you need to have a breack with the city life ( which was my case). This town has very kind inhabitants, and there is, every friday, the cofee morning where everybody join to eat scone and have a conversetion. As I said before, it was an amazing experience that I will never regret. I really thank Yollande and David for being so kind and warm. I recommend this experience for everyone who want to discover a part of the english culture and discover lovely people. We can highly recommend Britta as a volunteer and we are very thankful for everything she did for us and the animals. Britta is a lovely person and is a joy to share one's home and life with. She is thoughtful and kind and a pleasure to be with. She is always happy to do any task - large or small and learns everything shown to her instantly and is… read more then able to do work is required perfectly. Britta is also very supportive and understanding. The animals liked her very much too as did anyone who met her. Britta is always most welcome to return. We wish her well for the future. We cannot recommend her highly enough. To stay with Yolande and David for a month was a wonderful experience. I felt at home from the second I arrived- both of them are extremly caring and warmhearted. They appreciate every little bit of work you do and encourage you to join activities in the village like Artclass, Yoga or Coffee Morning. Yolande and David always make sure that your… read more fine with the jobs they give you and take your safety very serious. When it comes to your free time, they are also very generous and even provide you with many ideas and opportunities how to spend it. For instance, David took me with him a couple times to beautiful places and never minded to do an extra turn to drop me off/ pick me up somewhere and Yolande introduced me to jewellery making and showed me Rosemoors Garden. I loved to do the physical work outside and take Tippi for long walks along the beautiful countryside- it felt like holidays for my mind to be out in nature every day. I can highly recommend Yolande and David as hosts and I'm truly thankful for everything they did for me. Paco is a wonderful person and an excellent volunteer. He fitted into our way of life immediately on his arrival and we enjoyed his company very much for the month he was with us. Paco has been very helpful and could always be relied on to do a task 100%. He didn't mind what he did and relished the variety and different experiences. Paco is… read more always interested in everything. He speaks excellent English. We recommend him very highly and he is always welcome to return to us whenever he chooses. We wish Paco all the very best for the future. He is very pleasant and talented and will always excel at whatever he does. I spent one month in Dolton with Yolande and David. It was my first workaway experience and I think I couldn't choose a better place, I felt comfortable since the beginning. Yolande and David were always cheking if everything was OK for me or if there was anything that I needed, I really appreciate that. 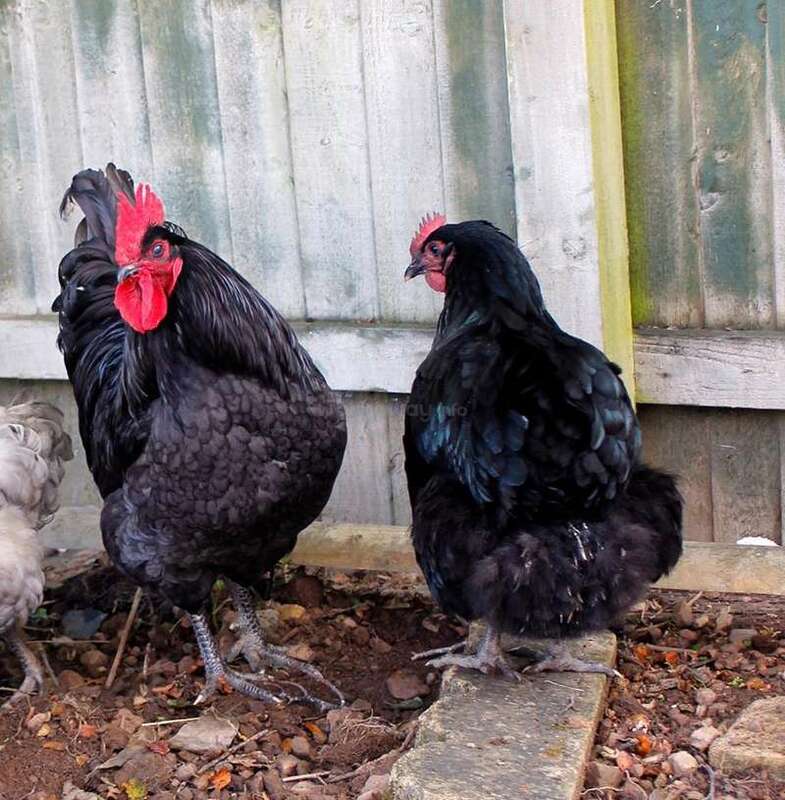 In the morning I was feeding the chickens… read more and checking that there were no problems with them and after that the tasks I was involved were differents depending on the day (Gardening, helping Yolande with the horses or lending a hand to the neighbours John&Tony). Everyday I was taking Tippy (one of the 2 dogs in the family) for a walk, that was always a good chance to have a look around Dolton, there are differents pathways you can take with stunning views in the middle of the a nature enviroment. I really enjoyed my stay there, basically I learned a lot, I had time to relax and work on my personal projects and I even went to not very known places like "Lundy Island" in Bristol Channel, but I was also in Bideford, Exeter and Okehampton. I hope this feedback helps the workawayers to apply here, you won't regret! I want to thank Yolande and David for this wonderful experience I got, I hope I was helpful. We have really enjoyed Marine's time here with us. If she would like to return, we would be very happy to welcome her back to our farm. Marine has a lovely friendly and warm personality. She is completely dependable and is always prepared to give of her very best. She is punctual at all times and is polite, appreciative, calm, considerate and… read more sensitive to the needs of others. Marine helps well as part of a team and can quickly learn new skills and carry out instructions without supervision. She is very sensible and happily tackles anything she is set to do. Her communication skills are excellent. Marine speaks, understands and writes English very well. She is very kind and sympathetic with all the animals - always putting their needs first. We will miss her lovely smile and do not hesitate in recommending Marine to others. It has been a real pleasure to host her. Wishing her all the very best for the future. I spent 3 weeks at Yolande and David's house and it was a wonderful experience. It was my first workaway experience and I was a little bit scared at first (mostly coming to a stranger's house) but I must say I was not disappointed. I had a great time here, everyone was so nice and welcoming, and the tasks were cool. I never thought I would ever… read more help in a farm but I'm proud that I proved to myself that I could do it. I got used to the tasks really quickly and I loved taking cate of the dogs, the horses and the chickens. I also really enjoyed working with another workaway, Linda, who was amazing! Thank you so much for making my stay here unforgettable, David and Yolande! My only regret is that I didn't get to spend more time with you both, because you are lovely people! Aron is a wonderful young man. He stayed with us for approximately two months. From the moment he arrived, Aron fitted in perfectly. He took part in everything he could and enjoyed all experiences. Aron is a talented young rider and was allowed to ride many different horses both on the flat and over jumps. Aron is very dependable and looked after… read more all the animals and helped in the gardens to the best of his ability. He is good at working independently as well as being part of a team and always carries out instructions perfectly. We were very sad to see Aron leave and would like to remind him that he is always most welcome to return to stay on our farm. We would like to wish him all the very best for the future. I lived in Dolton for two months, and I loved it. The whole village is a very nice place, in Devon, with it’s advantages, and with the few disadvantages (such as the rain, or the wind, but that’s all). Otherwise the place is beautiful, with a lot of nice, and green fields, and hills (low hills). And on your free days you can go to Exeter, witch is… read more a city, about 1,5 hour bus drive from Dolton, and there are everything you want, just like a giant cathedral, pubs, restaurants. All the people are very nice, and kind in Dolton. Yolande, and David, but even the neighbors, John, Tony, and Nicky are so nice, and helpful about anything. David has some nice chicken breeds, these are even so cute, mostly at the morning. 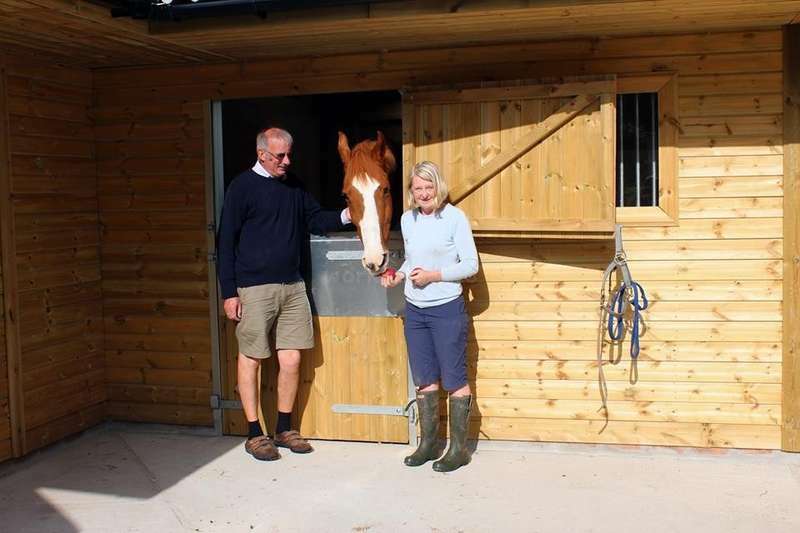 Yolande and John are very good horse riders, they can help you at it as well. I had a lot of nice horse riding lesson with both of them, (mostly dressage, but they can help to improve your show jumping abilities as well), and they gave me a lot of great, special opportunities, such as a show jumping competition, or two very special dressage lessons. The work is not so hard, mostly around the horses, and the chickens, supplemented by some gardening job. But if you need a break, you can have it, just to have a good tea, or anything (for example sometimes I had to do my school works, and there wasn’t any problem, what is great again). The food was very good as well. Usually I etas a lot, but I have never been hungry, and I was always very happy with the foods that Yolande cooked. And the horses. You can be on any level of the horse riding, you will find the good horse, that match with your style, and with your abilities. And probably he will be Talisker, who is a very nice horse, who knows what is in your mind, and a perfect, very well educated horse. (My favorite was Cosmos, who is maybe the best horse I have ever met). I have no any bed memory about the place, or the people, or the horses, EVERYTHING WAS PERFECT, and I cannot be grateful enough for all the people there, who helped me, and gave me these great opportunities. I hope that I can go back there. So if you like the horses, and you’d like to try some new things, than this is the best place for you, don’t miss that! My stay with Yolande and David was my first experience as a volunteer and I am convinced that I couldn’t have found a better place to stay. The last three and a half months were absolutely wonderful and I made so many unforgettable and happy memories there. 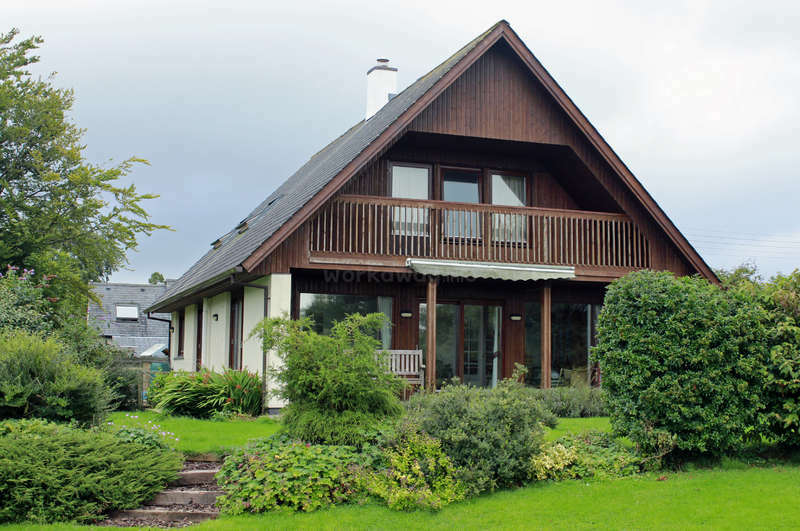 Yolande and David are incredibly nice, welcoming and caring people who made me feel at… read more home at their farm with all the lovely animals like their dogs Tippy and Floyd, the horses Talisker and Ollie and all the chickens. You really live as a part of a big family, consisting not only of them and the animals but also their neighbours and friends. 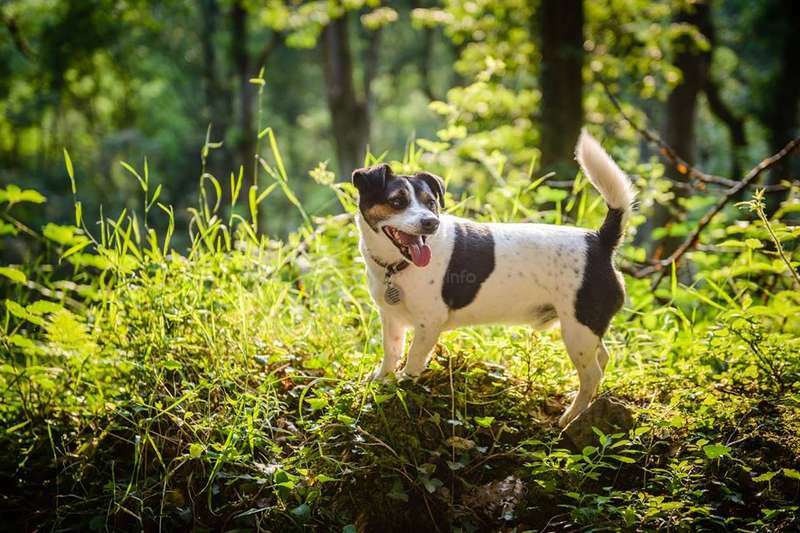 I never got bored during my stay because there is always something to do, whether it’s looking after the animals, taking Tippy (and occasionally Floyd, if he feels like it) for walks and exploring the network of public footpaths with him, doing jobs in the garden or baking a cake. Besides my daily chores I had the opportunity to spend a lot of time riding many different horses like Tally and Ollie, Showbiz, Molly and Nicky’s horses – one of which is Darcy who I worked with almost every day and who I was allowed to compete with. Thanks to Yolande’s and John’s fantastic riding lessons I learned a lot in the process. Additionally I was given a lot of freedom to pursue creative interests like painting and crafting jewellery and was encouraged to do so, which I’m really grateful for. Dolton is a wonderful place with a very open and welcoming community. Even though the village may be small, there are many weekly activities to participate in, such as art class, yoga, dancing, kickboxing and of course coffee morning. I also experienced a beetle drive, bingo and a classic English breakfast, there really is always something going on in the village and people always make you feel welcome to join in. On my free days I either went to explore parts of Devon – towns such as Exeter, Barnstaple, Bideford and the beach at Westward Ho! where I went surfing twice (and which I can highly recommend!) Also David kindly took me and another workawayer and Tippy to beautiful Dartmoor and War Horse farm, two places I wouldn’t have seen otherwise. I really can’t thank Yolande and David enough for making me feel like a family member, for all their support and everything they’ve done for me over the course of the past months, as well as everyone else who made my stay in Dolton such a beautiful and valuable experience. I truly hope to come back some time . Sarah has been on our farm for approximately three and a half months from September until the middle of December. From start to finish she has been absolutely wonderful. We cannot sing her praises highly enough. Sarah has a friendly and warm personality and a positive attitude and strong work ethos. She is very conscientious and is always… read more prepared to give of her best. She is very sensible and can quickly learn new skills and carry out instructions without supervision. Sarah embraces all challenges - no task is ever too small or too large for her - she happily tackles everything she is set to do. Sarah has assisted us by helping to look after and ride several horses and ponies. She has also helped care for two dogs and numerous chickens. She has carried out tasks in the fields, gardens and house. She is always happy to undertake any type of work. She has enjoyed meeting neighbours and other people in the village. Everyone speaks highly of her and she has made many friends during her time here including other volunteers. Sarah joined in many activities in the village including yoga, dancing, kick boxing, art class and attended a range of other social activities. Her communications skills are excellent and she speaks, understands and writes the English language fluently. Sarah is very intelligent and well educated and is a talented rider, artist and musician. If Sarah should like to do so, we would be very happy to welcome her back to our farm as we consider her now part of the family. We appreciate Sarah's excellent common sense and diligence. She has taken on a lot of responsibility on our farm and has thrived in the trust and freedom we have given her. She has helped to manage the daily routine and has supervised and trained other volunteers - always maintaining a very warm but professional approach. We wish her all the very best for a very successful future. We feel that she will be a great asset to any work place as she is someone who can work independently or as part of a team. She is completely dependable and is always prepared to give of her very best. She is punctual at all times and sensitive to the needs of others. She is calm and considerate and shows maturity beyond her age. We would like to stress that although Sarah may, initially, appear to be quiet and retiring, she is a commendably strong personality. Sarah is always polite and appreciative and works well in consultation with others. We highly recommend her. We have a word which describes Alessia best - one she used all the time to describe so many things every day - BEAUTIFUL! Alessia volunteered with us for approximately a month this summer. Alessisa has a positive attitude and strong work ethos and a very friendly and warm personality and a great sense of fun. She is hard working, enthusiastic and… read more conscientious and is always prepared to give of her best. She is intelligent, conscientious and sensible and can quickly learn new skills and carry out instructions without supervision. Alessia embraces all challenges - no task is ever too small or too large for her - she happily tackles everything she is set to do. She helped us by looking after several horses, two dogs and numerous chickens. She also carried out tasks in the fields, gardens and house. She is always happy to undertake any type of work. She also enjoyed meeting our neighbours and other people in the village and loved the fact that we support each other and share everything. Everyone speaks highly of her. Her communications skills are good and she speaks and understands English well. Alessia is very intelligent and so charming. If Alessia should like to do so, we would be very happy to welcome her back to our farm any time. We wish her all the very best for a very successful future. We feel that she would be a great asset to any work place as she is someone who can work independently or as part of a team. She is completely dependable and is always prepared to give of her very best. She is punctual at all times and sensitive to the needs of others. She is calm and considerate and is always polite and appreciative and works well with others. We highly recommend her and send her love from everyone she met. I have a word for describe them: lovely! You can immediately feel the “family air” and you will be part of it! They’re very sweet, cultured and smart persons and yo will be confortable. And this family is not consist of just Yolande and David, but also their neighbors Jhon, Tony, the lovely Sue (who brought us by car to a lovely Parish walk near… read more Dolton), and Niky and her doughters. They’re like a big family and you can feel and enjoy it, it’s awesome! You have to care the horses (they are so sweet) and sometimes the chikens (they are so sweet too and David has different beautiful breeds) and clean their boxes. You also have to make some gardening jobs, like cut the grass or plants. And when it’s around 11 o’clock you have to go out with the dogs and it’s an opportunity to explore Dolton and surroundings. Also, if you don’t like the country life this isn’t for you! I also have lovely moments riding Tali, Yolande’s horse. 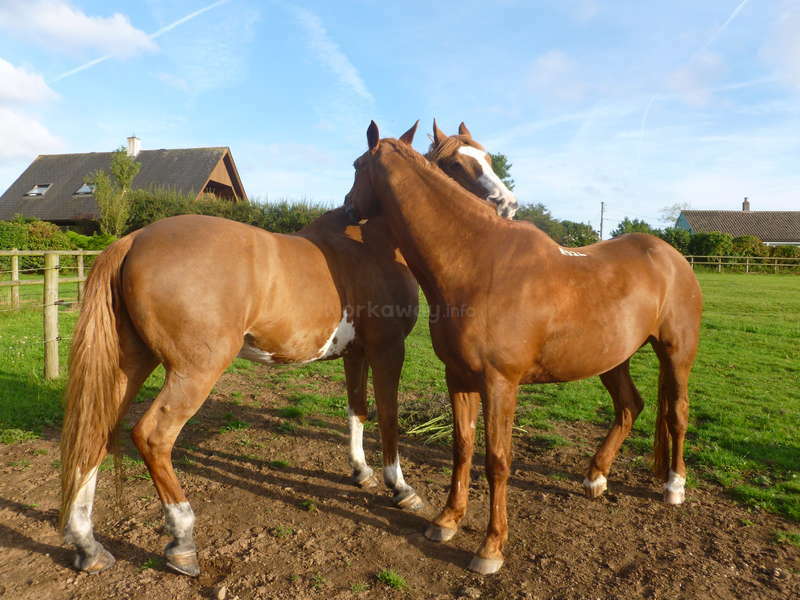 He is a very good and patient horse and Yolande is a very wonderful theacher, who really loves her horses! she also has many beads so you can make some bracelets for you or your friends. In my free days i surfed in Westward Ho beach and visited Exeter and Bideford. And in some afternoons i also visited War horse’s farm and Okehampton, where David brought us by car (there was an other workaway?s girl, Adela, during the time i was there and we had our two bedrooms. So i can also say that it was like to have a sister and that she is very fit and unstoppable worker :)). In the end i can also tell you about the lovely community of Dolton and their friday’s coffee mornings with scones, tea and clotted cream, love it!! I’m very grateful to Yolande and David for this experience (my first with workaway) and i've been so good with them that i've never felt homesick! Hope you will chose them! Melanie is a truly wonderful person. She has a friendly and warm personality. She is very hard working, enthusiastic and diligent and is always prepared to give of her best. Melanie is intelligent, conscientious and sensible and can quickly learn new skills and carry out instructions without supervision. She is always interested in everything and… read more wants to learn and improve as much as possible. Melanie never complains and embraces all challenges - no task is ever too small or too large for her - she happily tackles everything she is set to do. Melanie helped us by looking after several horses, two dogs and numerous chickens. She also carried out tasks in the fields, gardens and house. She was always happy to undertake any type of work. She also enjoyed meeting neighbours and other people in the village. Everyone spoke highly of her. Her communications skills are good and she speaks, understands and writes the English language to a good standard. If Melanie should like to do so, we would be very happy to welcome her back to our farm. We wish her all the very best for a very successful future. We feel that she would be a great asset to any work place as she is someone who can work independently or would enhance any team. She is completely dependable and would always be prepared to give of her very best. She is punctual at all times and sensitive to the needs of others. It was my first workaway experience and it was an exceptional and unforgettable experience of three weeks ! Yolande and David are lovely people who welcomed me as a member of their family. The neighbors are very nice and very welcoming. I also met Alice another volunteer who was returning a second time to Dolton. Dolton is a nice little village.… read more The living environment of Yolande and David is wonderful ! I really liked ! The three weeks spent with them were rich in experiences! On the program: gardening, walks on horses, walks with Tippy and even Floyd (if he wanted), visit the dartmoor national park, visit the War Horse museum, visit Barnstaple and Exeter, coffe morning each Friday, many moments of relaxation: film sessions at John and Tony's house, creations of jewelry and cooking. But also the luck to have riding lessons by Yolande and John (great riders) with extraordinary horses ! I want to thank you for all that you have learned me on horse riding ! A big thank you to champion Taliscer, Molly (my favorite pony), Ollie, and the wonderful Showbiz !! Thank you for everything !!! I'm returned to France with a lot of memories hoping to be able to come back ! Lorene forgets to say how much time, effort, money and support was given freely by a number of people to enable her to do a major competition (an opportunity she had never had before) and all the training leading up to the competition which included transportation of the horses to training areas on a number of occasions. She has posted many photos… read more to prove this. Lorene forgets to say that she was able to ride everyday and was generously given regular training by me (a professional riding coach) or our neighbour (an International Grand Prix rider) on very nice horses. Lorene forgets to mention how she was treated as a member of the family and everything that we happily shared with her and included her in. Lorene forgets to mention all the extra free time she was given to go on picnics to the beautiful Nature Reserve. Lorene forgets to mention that she was given a large range of jewellery making materials which she had free access to. Lorene forgets to mention that she was taken on extra visits including Dartmoor and an agricultural show (extra to her days off). She forgets to mention all the times I did some of her work as a surprise. I can do the work expected by volunteers in less than 5 hours! She always told us that she was happy and enjoying her time. We always discussed the plans for each day with Lorene choosing to do as much riding as possible. Yes we do have very high standards especially for the safety of people and animals. Safety at all times is our priority. We take our responsibility very seriously and always strive to create a safe working environment and expect everyone to abide by our health and safety rules. Lorene forgets to say how when she first came she had little regard for safety when handling horses and riding but after staying 10 weeks left a much better and safer rider who was given many wonderful opportunities above and beyond the normal exchange of food and accommodation. I spent 10 weeks with Yolande and David in Dolton. Thank you very much for this very good time ! This was my first workaway experience. I worked 7 hours each day (sometimes more, sometimes less), so i was tired at the end of the day but i learn a lot of things and i rode a lot !!!! The horses are very nice and lovely. Marie is a lovely young person who tried to give of her best at all times. She is very diligent and hard working. We are so happy that Marie had a lovely time with us. It was a pity that she wasn't able to enjoy as much riding and socialising as she would have liked as all her spare time was taken up with her books and work for her University.… read more However she did have time to enjoy fish and chips, coffee morning at the village hall, a drink or two at the local pubs, scones and cream and jam, walking one of the dogs in the beautiful Nature Reserve and some riding as well as visits to the coast, Dartmoor National Park, Exmoor National Park and a number of other places on her free days. She is most welcome to return when she is free from her studies and enjoy all the things she felt she couldn't do this time. Wishing her all the very best as she is a very conscientious student. It was my first Workaway experience. Yolande and David are very kind and friendly. The neighbours and their friends are also very nice. The animals are also very friendly and cute. I liked riding Talisker ! This horse is amazing ! The place is very peaceful and quite with beautiful landscapes. In the village, a lot of activities are organised. In… read more April, there is a spring fair where jewellery, paintings, cards, gifts, chocolate, and other things are sold. A tombola is also organised. A parish council, a rock choir, yoga’s sessions, an art group, a dance fitness class, a mini market are organised too. But that's not all! Bingo and dance parties are on the program. A Scouts group is also present in the village. I did some nice visits such as Croyde, Clovelly, Lynton and Lynmouth (thanks to John and Tony for taking us there), Exeter and Dartmoor (thanks to David for showing me this National Park). I also met wonderful people like Inga, Viktor and Stéfanie 5(other volunteers). Thanks to Yolande for having cooked very good meals ! Thanks also to Yolande and David for teaching me new things. It was very cool ! However, if you have to do a lot of work for school, this place is not may be the best place for you to enjoy completely your experience as you will have your head in a book. Otherwise, this place is very nice to spend good times accompanied by horses, dogs, chickens and wonderful people ! Thank you for welcoming me during 6 weeks and thank you for your understanding! We are so pleased that Inga plans to return. We had the most amazing 3 months together. Inga was simply WONDERFUL. She fitted in from the moment she arrived and immediately became one of the family and cared for all the animals as if they were her own. Everyone she met on the two farms (ours and our neighbours') and in the village loved her. We… read more enjoyed listening to her singing in the choir at one of the local Pubs (The Royal Oak). She has a beautiful voice. She is hard working, great fun, friendly and kind. She is a great team player or can work unsupervised on her own. Everything will be done to the highest standard. Inga certainly made the most of her time here with us. She enjoyed riding (to a very high standard) a number of horses either hacking out in the countryside, having training, schooling or jumping. She explored the local area and travelled to many places of interest on her days off including Westward Ho!, Clovelly, Barnstaple, Bideford, Exeter, Lynton, Lynmouth, Dartmoor ........ Inga also came with me in the horse lorry to a number of competitions and training sessions with my young horse. We wish her all the very best for a great future. We know that she will excel at whatever she chooses to do. We are very grateful for all her help, company and friendship. LOOKING FORWARD TO THE NEXT TIME AS YOU IS ALWAYS WELCOME TO COME BACK. Inga is a very warm person who always gives of her best in any situation. I spent 3 months in Dolton with Yolande, David the doggies and the horses. This was my first workaway experience and I couldn’t have chosen a better one. Yo and David have been doing this for a long time so they’re very used to all the circumstances and will try their best to make you feel welcome and at home. Just take Tippy out for a walk and… read more you’ll have a new best friend from day one anyway. Work is physical but not too hard, especially if you’re used to working with horses anyway. Every day is different and there’s always something new to learn about horses, chickens or gardening. Yolande and her neighbour John give really good riding lessons for all abilities, they’re very aware of safety and you’ll never be asked to do something you’re not capable of. I’ve enjoyed riding Tally so much and was really glad to improve my jumping with Maisy. And sometimes all you need is a long ride around beautiful Dolton on a sunny day. Dolton is a very friendly and welcoming community with lovely traditions like Coffee Morning every Friday. I went to sing in the choir once a week and it was just the best thing. There’s lots to do and see on your free day - Devon is gorgeous. Because David is a celiac like I am, it was really easy for me to have a gluten free diet. It was a huge relief not having to worry about food and cross-contamination for once and just not having to explain yourself all the time and I’m really, really thankful for that. Yolande and David will make a big effort to suit your needs and also feed you with enough Minstrels and Cookies to keep you going for the day. If you’re willing to work hard and join in the routine you’ll be welcomed as a member of the family. I honestly had the best time, I’ve learned a lot about myself and I’ve grown in confidence. I really don’t want to miss this experience. Thanks for everything guys! I’m sure I’ll be back some time. It’s not a goodbye it’s a see you later! Viktor is a lovely young man. Open, friendly, interested and very, very helpful. He was willing to try anything and everything. The big chickens are enjoying the run he kindly built for them. We were delighted when he came to stay and even more so when he returned for a second time! Viktor is most welcome to come again. Poo- Picking, digging and see through chickens eggs. I never thought that I would see such things. David and Yoland are gorgeous! I was scared of horses when I arrived but they managed that I sit on one! I probably just sit there but I´ll be as proud as punch! Their neighbors are also great. If you have the chance then ask Tony for a tiramisu. He… read more will also teach you those word you need for your friends (ONLY friends!). They helped me a lot with everything and I can not say how thankful I am! I´m glad that I had my first workaway experience there! PS. If there are misspellings they are on purpose! Marie was an amazing volunteer during her 6 week stay with us. Right from the moment she arrived, she fitted in perfectly. We and all the animals and neighbours (in fact everyone she met) warmed to her immediately. 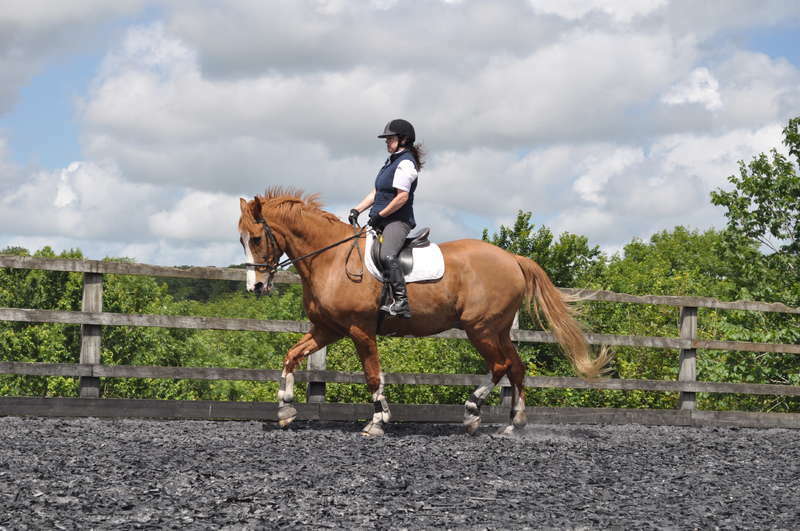 Marie helped 100% with everything and enjoyed riding a number of different horses and even came to help me at competitions and then… read more competed herself on a Morgan horse called Showbiz (riding so well that she won several classes). Marie gave my young horse (Ollie) some great showjumping training. She also had lessons on my retired advanced dressage horse (Talisker) both from me and my neighbour, John (an international Grand Prix rider). We were all sad to say goodbye and hope that she will be able to return one day as we also miss Marie very much indeed. Many thanks Marie for being part of our life here. I spent a great time with David, yolande and all their friends. Thank you for all that you have make for me, for your patience and for the time you have take to me. We enjoyed Adela's stay with us very much. We recommend her highly. She is very adaptable and is very keen to experience everything she possibly can. Adela is hard working and conscientious and does everything with a lovely smile. She loved the animals and they loved her. Adela is very fit and strong and enjoys being outdoors and to be as helpful… read more as possible. She is most welcome to return at anytime. My stay here in Dolton was the most amazing and peaceful time. It was my childs dream to stay on true english farm with horses and I cannot chose better! The work was joy and animals are amazing. Devon is so beautiful, full of quiet roads and dense network of public footpaths you can explore running or walking the dogs! On your free days… read more you can have a trip to beach and try some water sports as surfing (highly recommended! :)) or explore Exeter or cities on north coast. Thank Yolande and David so much for truly amazing time and all inclusive service (including lots of cookies every day! :D) Also thank very much to Alice, my fellow french volunteer-companion! ;) I'm so sad that I can't take care of horses, nudge chickens and take Tippy for a walk anymore! :(. The host-the owners of farm are Yolande and David. They are very welcoming, caring, sensible and lovely people from the first moment you show up. You will have your own bedroom and bathroom together with other volunteer (during busy months of the year, David and Yolande have two volunteers at a time-more fun for you!) They will make you feel like home, and are extra nice, everything is planned and consulted with you ahead, you always know whats is up next day. There are also other people you are in close contact with- amazing neighbors Jon and Tony and Sue, all of them nice and funny, always helpful! And Niky (another horses owner from the village) and her daugters. And generally speaking, everybody in village is very nice. Yolande and David are very dear to me and is also very nice that you can be as a volunteer in touch with them via social networks even after you left! David and Yoland will provide you all the support, equipment and show you how to do things. Don’t worry, everything is manageble and you will enjoy it! We usually started our work at 8am down at the stables cleaning and taking horses out and the rest of the day depends… during the day we regularly checked our and neighbors horses, the chickens, we walked the dogs, did some gardening jobs, took the horses back to the stable. In the evening we did a fast cleaning of the common area of the house, if you are keeping it tidy during the day, it’s super fast. This i how the „standard“ day looked like, but it can vary a lot! And don’t worry, you will have a plenty of free time to do whatever you want! It's a horse farm, so if you ride horses, this is place to be! 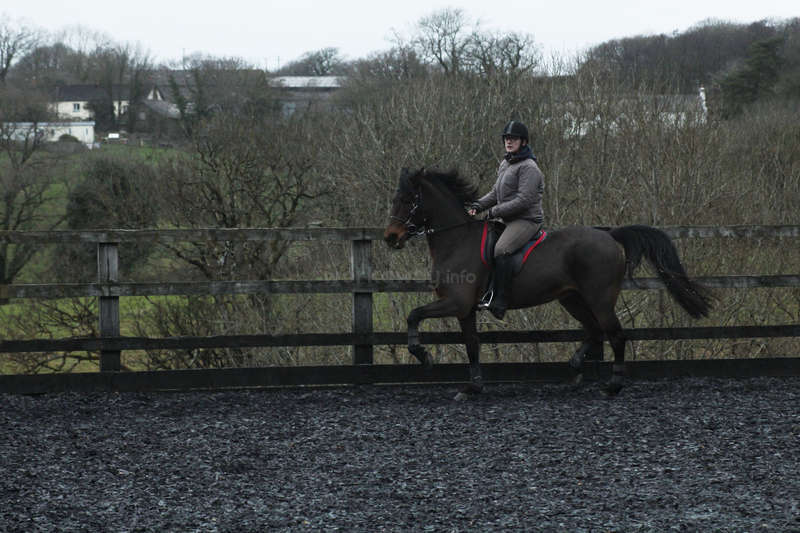 But also if you are absolute beginner and you want to try riding, no problem, Yolande is amazing teacher for anyone. If you are experienced rider, there are always some more horses to ride. I went almost every day for a run, we also installed my aerial silk on the tree in neighbors garden and we had a lot of fun with it! In Dolton you can do a lot! There is a „Coffee morning“ every Friday in the village hall. With Alessia and Sarah we visited a regular kickbox lessons! There is also an art club, where you can paint and a lot of else things to do. Every week you have a free day, I spended it mostly with surfing :). And David and Yolande also took us to some trips during our working days, to the War horse park, or to Darthmoor! Yolande always discuss the plans with you ahead. The location- farm is set in a village in beautiful hilly countryside of north Devon. 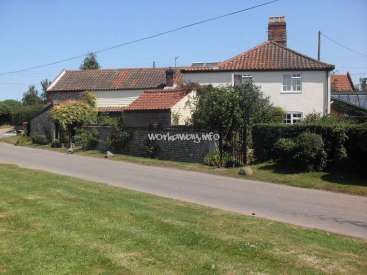 The village is called Dolton, and if you close your eyes and imagine typical english village from the movies, this is it! This area is more rural, a lot of meadows with cows and sheeps and horses, not that much crowded, I would even describe it in some aspects as a Hobbiton :D. Around the village is a network of public pathways, so you have a lot of options where to go for a walk/run. It is short bus ride from Atlantic ocean, so if you are a fan of ocean and surfing, Westward Ho! beach and surf school there is the right choice for you! I absolutely recommend to anyone, go there, and try surfing!!! About hour and half long journey will take you to Exeter, a beautiful university town, away from hustle and bustle of big cities! You can explore another cities of northern Devon, such as Bideford, Appledore, Oekehampton and Clovelly, and Yolande and David will take you for sure on a trip to Darthmoor reservation, really a gem of Devon! Close to the farm is The war horse park, where the inspiration for the story did came from (have you seen the movie War horse by Steven Spielberg?) Oh yea, and don't forget to try and taste a cream tea! For whom is this stay for? However amazing this place is, before you will go there, consider: If you don’t mind to be on a calm, small village. If you like an active lifestyle. If you like to spend time and work outside, in changable english weather (here even more so, because of the proximity of Atlantic, checking the weather forecast pretty often during the day! :D). If you are willing to do your job very good (I messed up couple of times as well, but it’s about willingness to learn and to finish things, being punctual, and communicate with Yolande and David). If you can clean after yourself a bit. Safety is number one issue on this farm, and will not be compromised. Yolande and David loves their animals soo much, and are doing everything possible to keep them healthy and happy, animals go first. For me, this place is perfect. I relaxed soo much from my everyday stress! Just the possibility to be all day long outside and to work manually, and keep moving! All the people I’ve met, from bus drivers to village people were super-nice. Yolande was teaching me horse riding, she is marvellous and patient teacher. Every day I went to bed tired, but really satisfied. For someone maybe can be boring this farm- related life- you are doing the same things every day, but you will find a peace and joy in it. During my stay I had the pleasure to be there with three others volunteers (thank you very much girls! :))- first with Alice (she also returned here, we had soo nice time last summer, so thank you very much Yolande that you arranged a couple of days together again! ), then with Alessia (the most wonderful italian girl, she fitted perfectly from the first minute and we had much fun together!) and then with Sarah (Sarah is such a good rider, hard worker and friend, we had most amazing time together!) So you can very well make a friends there! And all of this is why I‘m coming back next summer! :) Can’t wait to be back!!! Amazing ! It was my first time as workaway. and one of the best experience of my life and I loved every second of it! !!! Yolande and David very welcoming and friendly and I felt just like at home. I really enjoyed being around the ponies and other animals! Yolande also a great cook and put much effort into preparing delicious dinners even my… read more birthday cake! Thank you very much for a great presents ! Was very sorry that I had to leave all the lovely people and animals behind. Thank you again for Yolande,David,Tippy,Floyde,Talisker,Jambo,Ollie! I already miss you very much and thank you for a great experience. Fantastic! From the moment Daiva arrived, her wonderful kindness, helpfulness and generosity shone through. She has made such a huge impression with her readiness to join in wholeheartedly with life here. Every task has been tackled with gusto. Daiva has an amazing work ethos and always gives 100%. When she sees something needs doing, she does it. Her energy… read more and zest for new experiences are truly impressive. Her warm and loving personality has made her extremely popular with all the humans and other animals she has come into contact with. She has cared for our horses, ponies, dogs and chickens and the gardens. 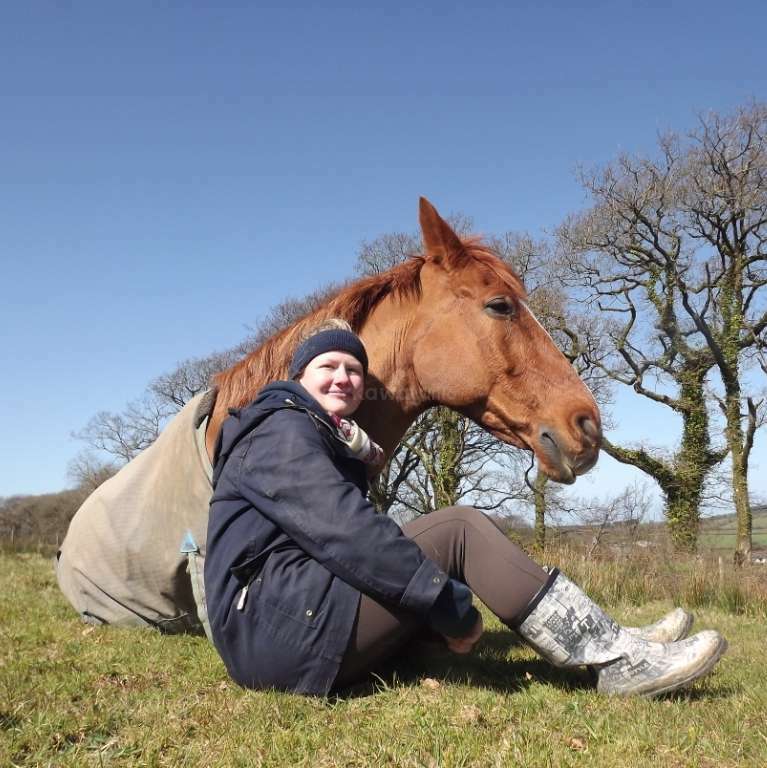 Daiva has ridden three of our horses and ponies and has shown herself (although still a novice) to be a capable and sympathetic rider who puts the needs of the animals first. We have had a lot of fun together. We cannot recommend her highly enough. We feel that Daiva will always fit in where ever she goes. Daiva is always most welcome to return (as we truly hope she will when her work and other responsibilities allow). She came as a workawayer and has left as a friend. 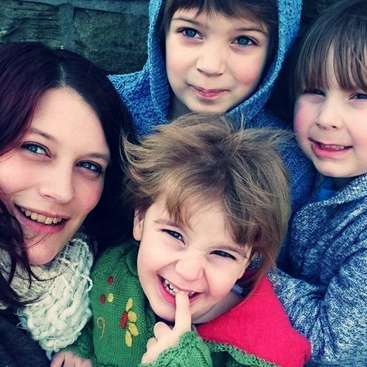 Help needed with children & housework in Yorkshire!